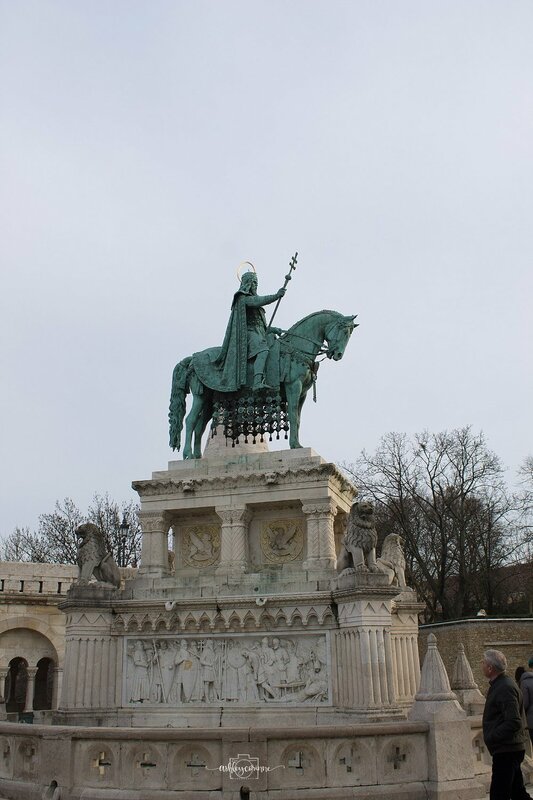 One year ago today I was walking around Budapest, Hungary eyes wide open and ready to explore a new part of the world. Budapest was destination #2 on the grand backpacking adventure, if you count our brief stay in London (which you can read about here). I'm a BIG planner, so before we left I made sure to fit as much as I possibly could into our tight schedule. 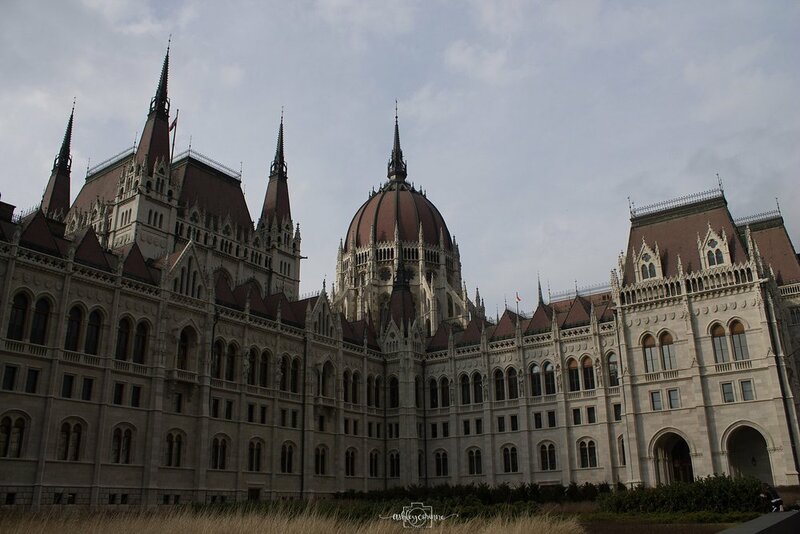 Here's the rundown straight from my travel journal of how we made the most of 48 hours in Budapest, Hungary. 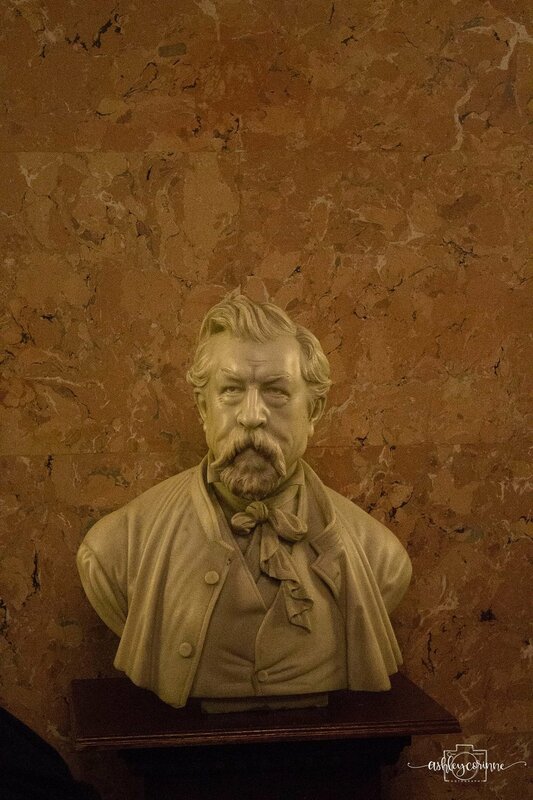 "The city immediately felt foreign to me, especially with the beauty of the Hungarian language. Once we made it through passport check, we got a Budapest card, which allowed us free public transportation throughout the city and free entry to some attractions as well as discounts. 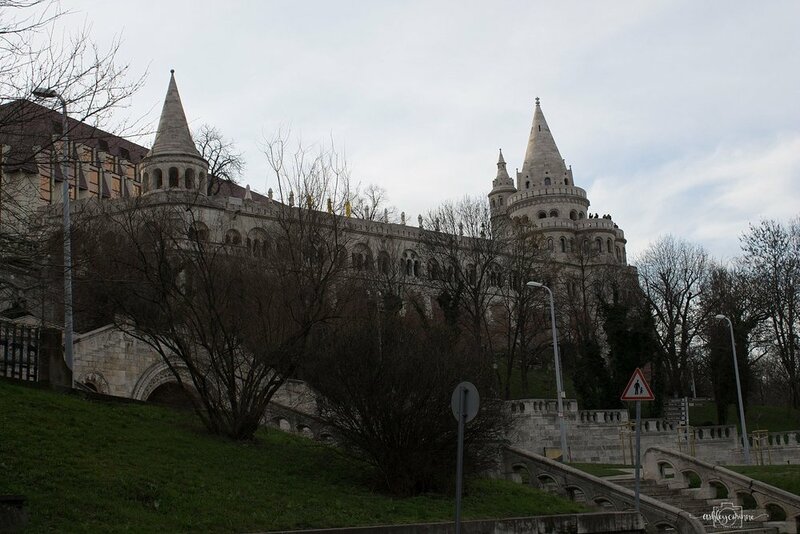 (For more info on the Budapest Card, click here ) We hopped on a bus and made our way to a central stop, Kosbanya Kispest, and caught the metro line 3 - the oldest line in the city." 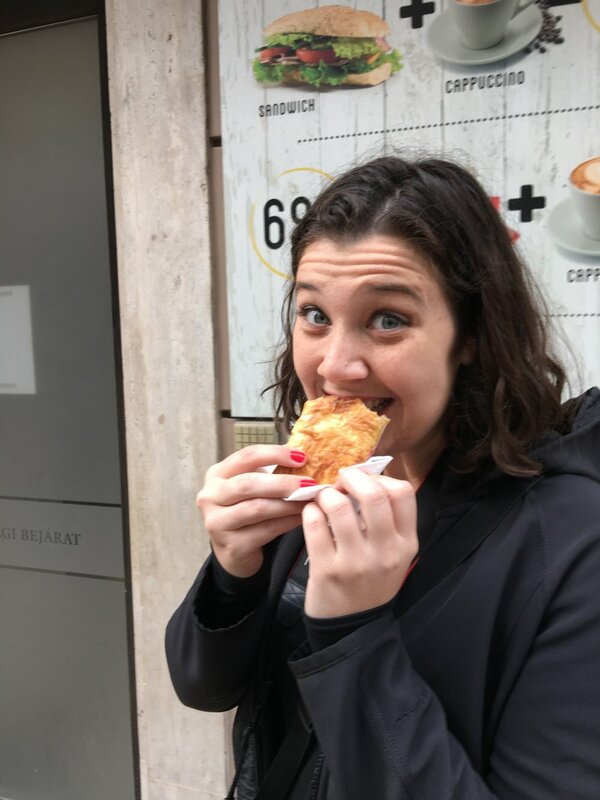 "After we dropped our bags at the hostel (Wombats City Hostel Budapest), we went to explore and of course the first stop is always food. 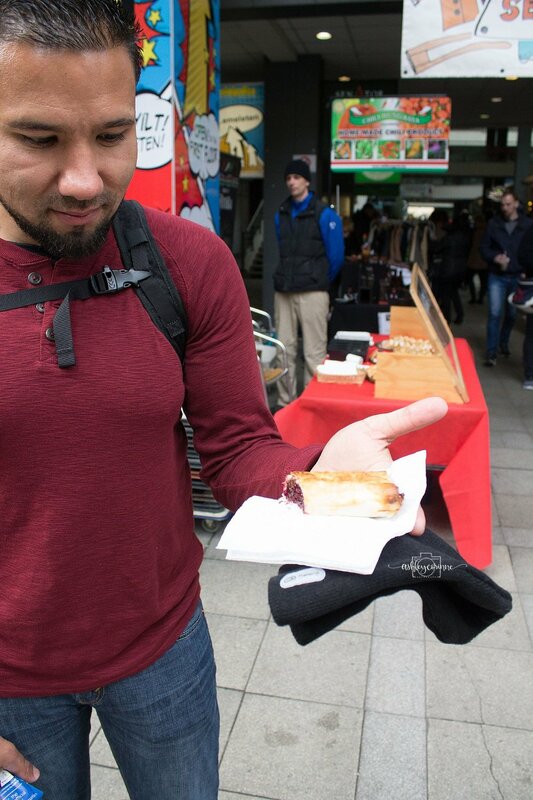 Walking through a market near the hostel, I ran across a pastry stand and just pointed and ordered whatever looked best. I asked the man in English what flavor it was and he said chocolate and cherry, but little did I know that there was paprika/pepper inside as well. Three bites in, my mouth was on fire and I was trying to figure out what was happening. Apparently that's a thing." 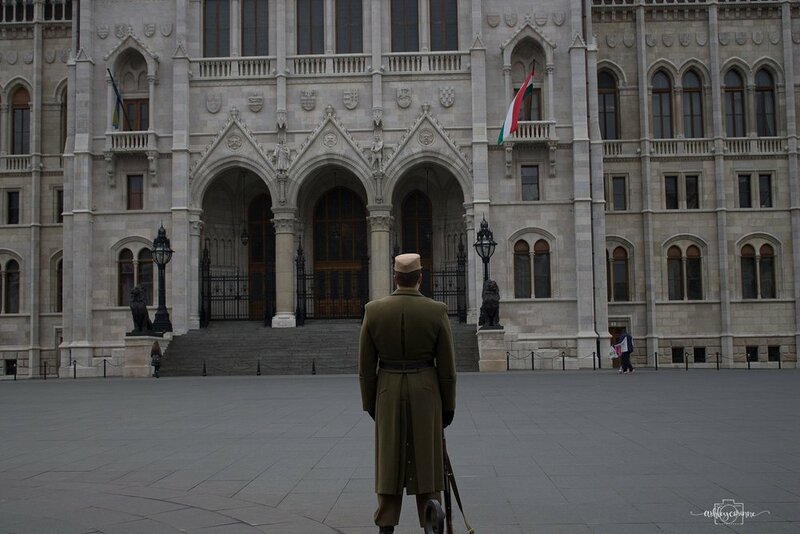 "We walked over to the most majestic government building I've ever seen, the Parliament building, and saw the guard change there. 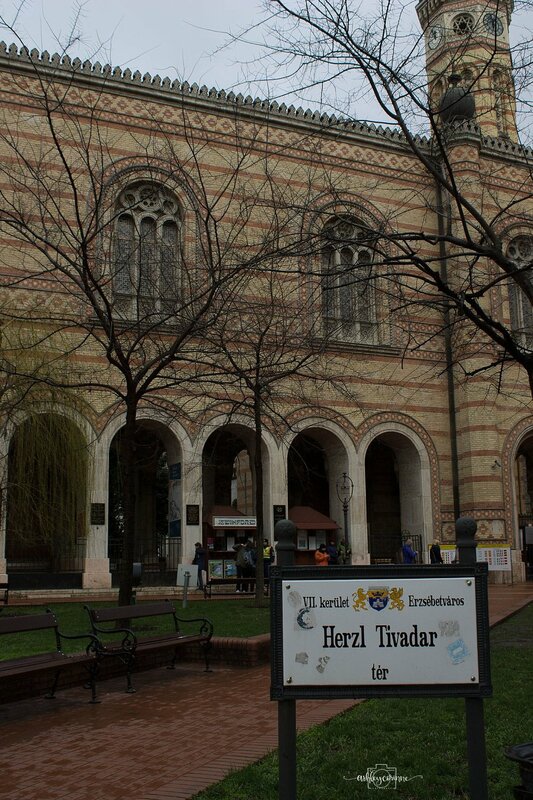 The odd thing was how empty this famous square was, probably because it was cold and Sunday. 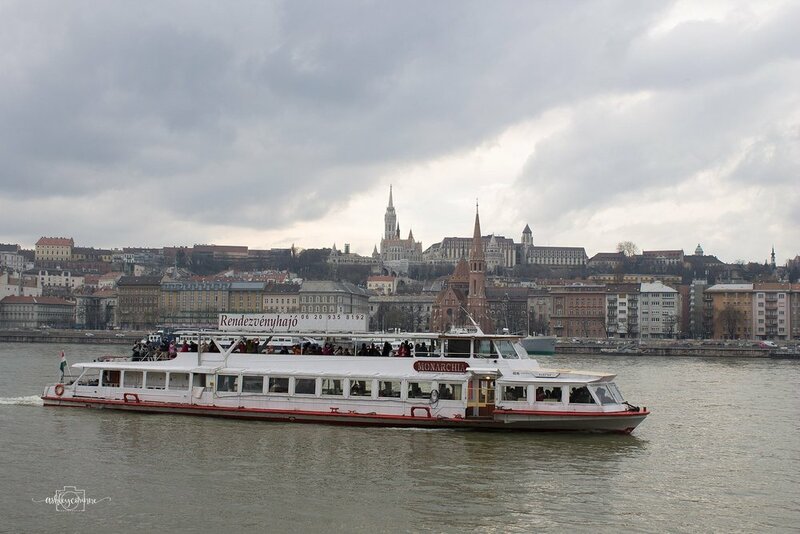 Then we walked along the Danube all the way to the Elizabeth Bridge, passing a beautiful memorial along the bank called Shoes on the Danube Bank." "Later, we made a local friend that told us the legend behind the Elizabeth Bridge. He said that the architect jumped off the bridge because after he finished the bridge he realized he forgot the tongues in the lion's mouth. There were also a few locks on the bridge, which our friend said was just another sign that Budapest was the "Paris of the East." 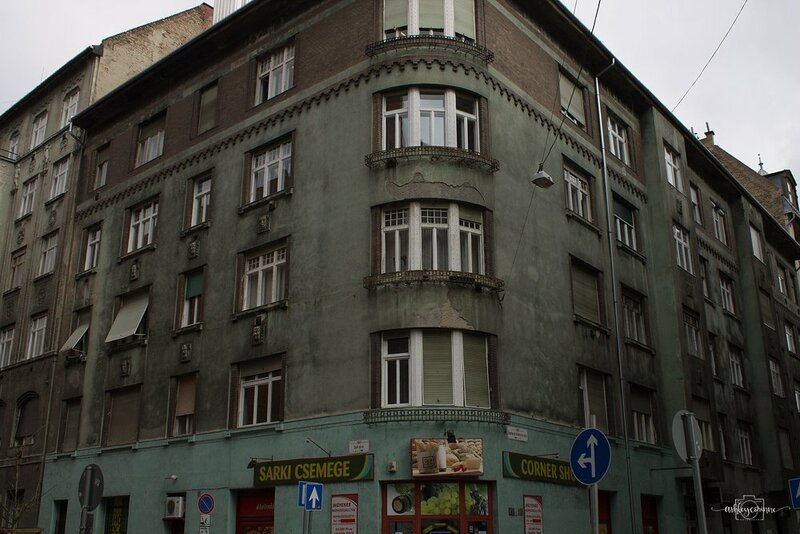 "After crossing from the Pest side to the Buda side, we wandered the neighborhood streets, admiring the older side of the city. 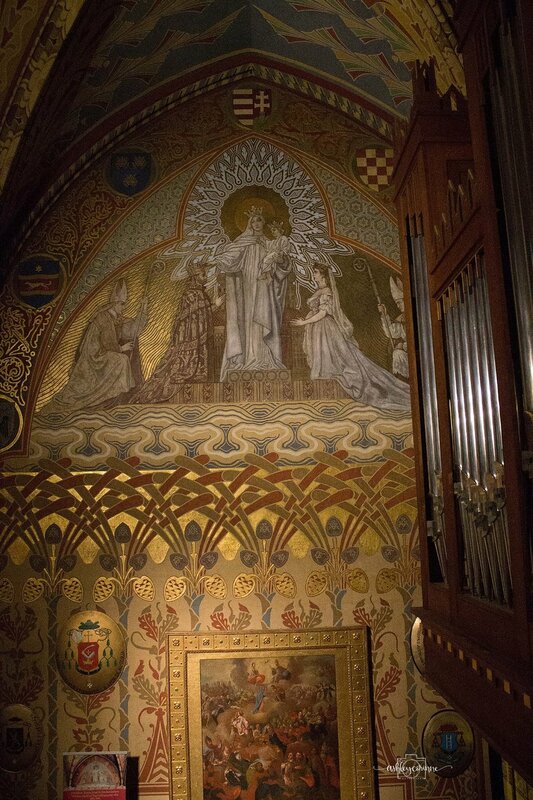 We found Matthias Church, the most incredible example of mosaic tiling I have ever seen on such a large scale. 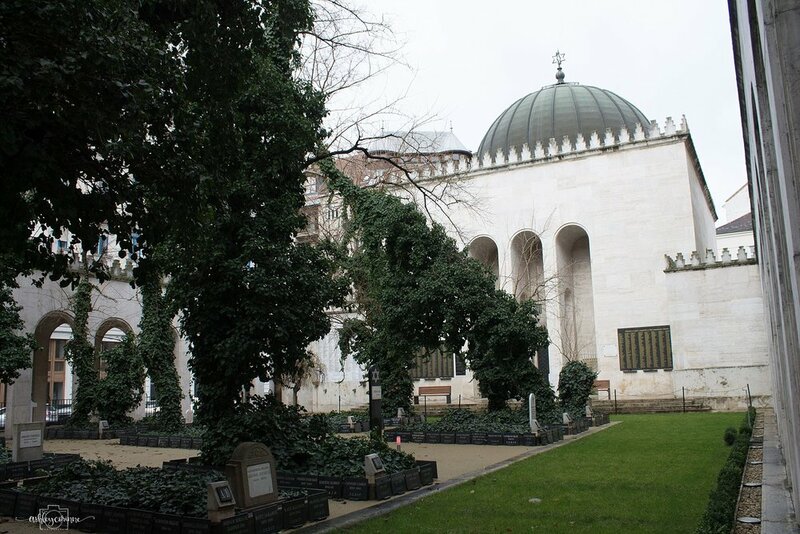 Every tile was hand-painted and every inch of the walls and pillars inside were covered as well. 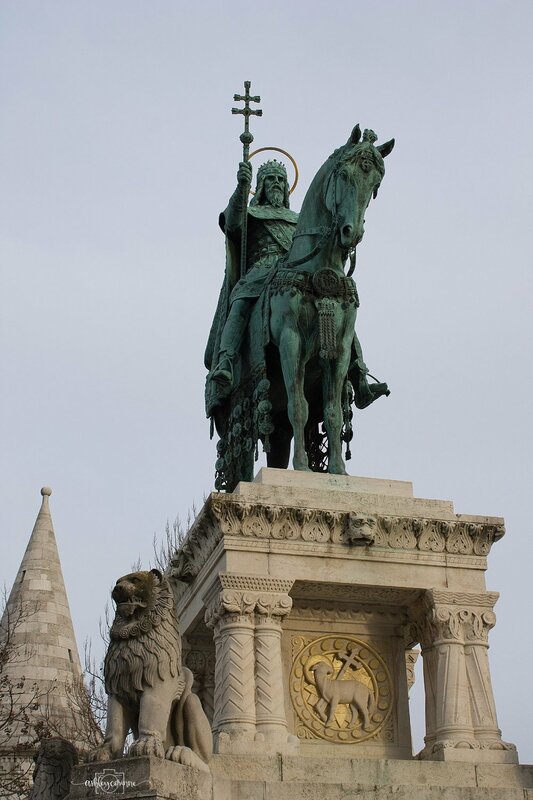 "From Matthias Church we walked in the general location of St. Lukas Baths through many neighborhoods, and eventually decided to hop on a bus to save time. My favorite part was the colorful winding streets and huge wooden doors." "The Lukas Baths were an experience that is difficult to describe. There were many pools, one large pool outside that had a perpetual steam rising from the heated water into the 35 degree air. The pool contained a lazy river on one end and massaging jet streams on the other, with locals milling about back and forth. Inside the smaller tiled pools were sulphuric and filled with locals. This is the part that had been around since the Crusades and it was an incredible treat to be completely immersed in history and local experience. 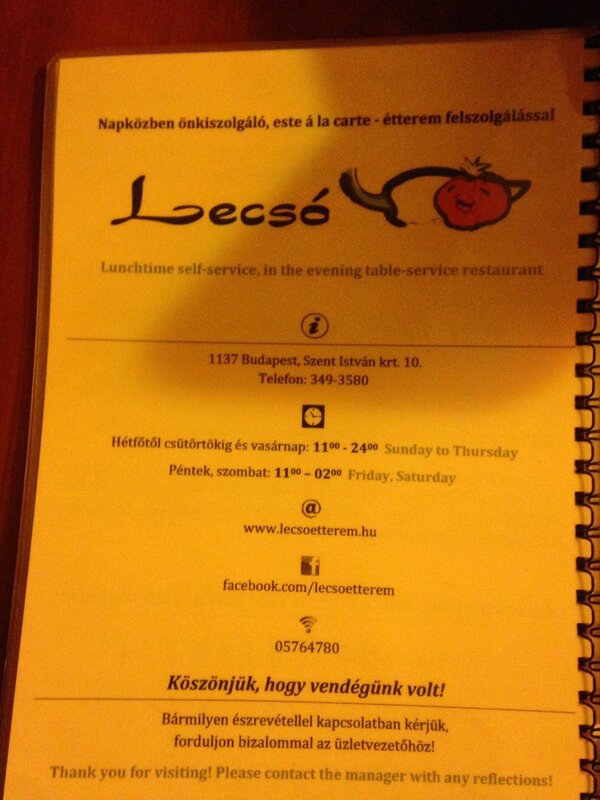 The best part is that it was free with our Budapest Card, yay! After the baths, we walked in the cold night with wet hair over a bridge to the Pest side of the Danube and scouted out a restaurant with traditional Hungarian dishes. I ate veal goulash and gypsy steak which was very rich and full of spices that I have never tasted. With only 48 hours to see such an iconic city, we decided to make one last excursion after dinner to Heroes Square. 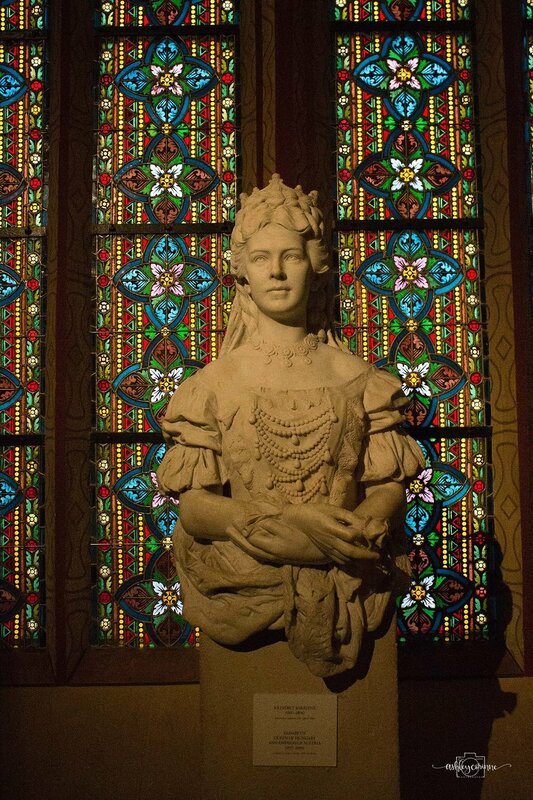 The monument was beautiful, shining in the dark night and filling the square with the huge figures of Hungarian history. Behind the monument was a building that looked like a medieval castle, but ended up being an agriculture museum. My brain is still adjusting to the idea that "old" here means something completely different than "old" in American culture. Buildings are not torn down after a few decades, they are preserved and take on new life with each passing generation." "The next morning we took it easy and started the day with a giant cup of coffee at Costa's Coffee. 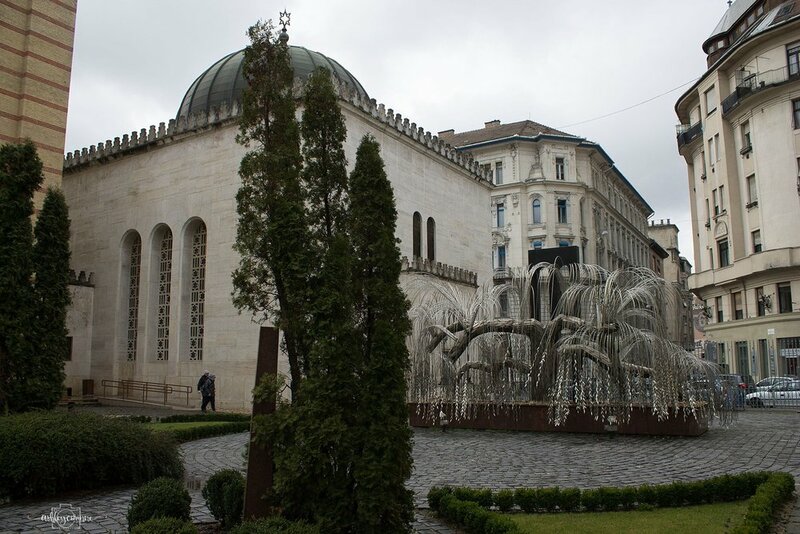 From there we went to the Donahy Street Synagogue, which is one of the largest synagogues in the area and held a Holocaust Museum and memorial honoring the lives that were lost when the Jews were locked in the synagogue during winter and perished within it's walls. The somber history and beautiful tribute all felt deeply personal and was the first time I had been this close to such a dark moment in history." 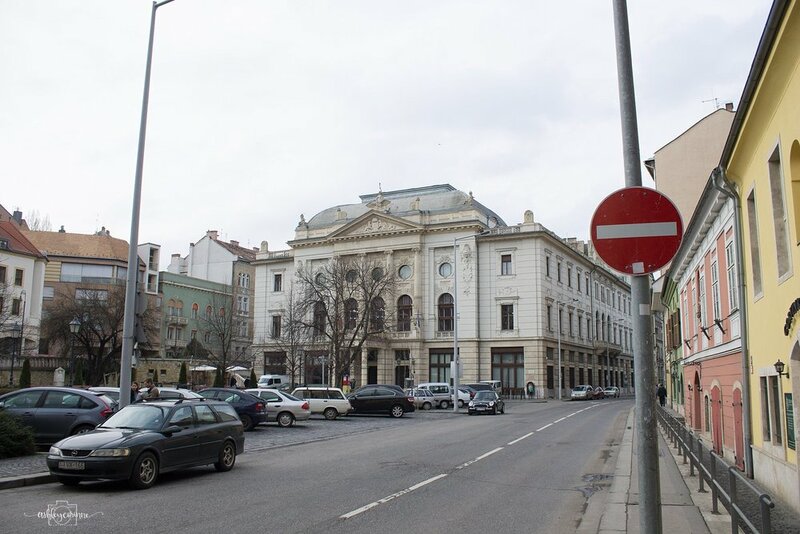 "After the synagogue, we walked to the Hungarian National Opera House and toured it along with many other English-speaking tourists. 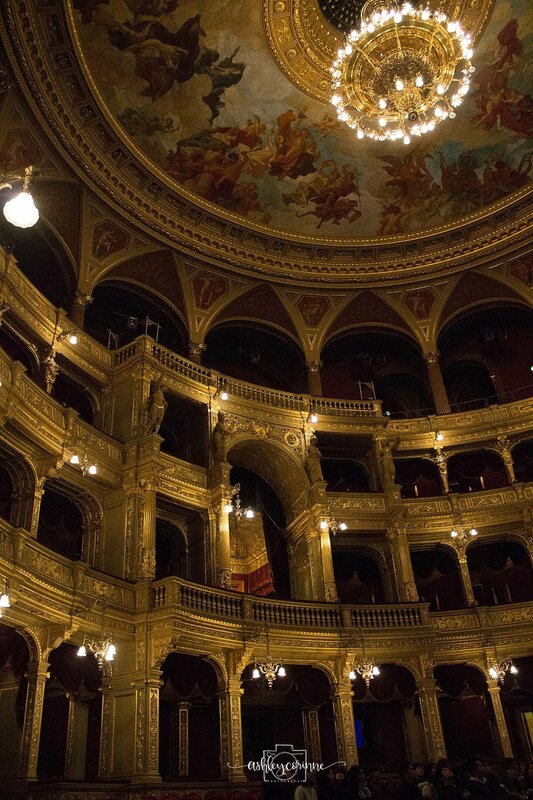 It was insanely beautiful, the first opera house I've ever toured, built in the 1860s with all of the original fixtures. My favorite thing was the gilded boxes for royalty. After the concert, we were able to see a miniature concert, which was really neat." "For lunch we decided to cut costs and grab some meat, cheese and bread from a local grocery store as well as some Hungarian candy to sample. They were all delicious! After we ate we took the metro to Kalvin Ter to walk around a bit and found the most magical tea shop I have ever seen. It was called Sirius Teahouse. The building was difficult to find, but once we got in and took off our shoes, the magic began. We climbed through a mirrored staircase to a cave-like area where there was a hole in the wall that the staff used to serve tea and cookies. I ordered Arabian Magic tea and some wonderful cookies and biscuits." 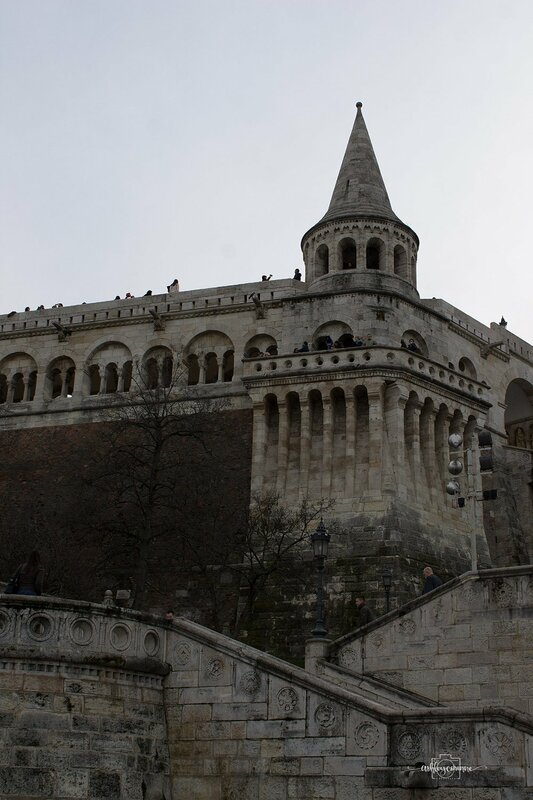 After our tea break, we trekked across town to see Buda Castle at night, taking the funicular railroad up the hill which looked over the twinkling lights of the city. 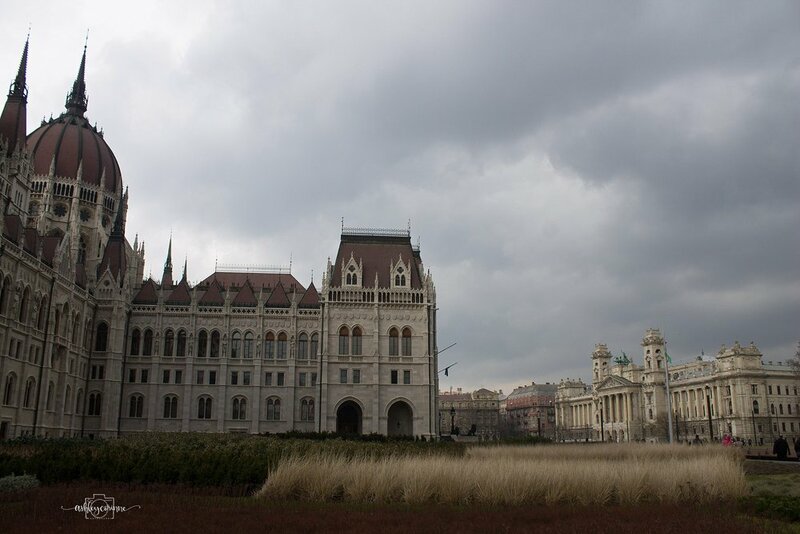 "Our time in Budapest was coming to a close, but we still had a few more places to see before we left. 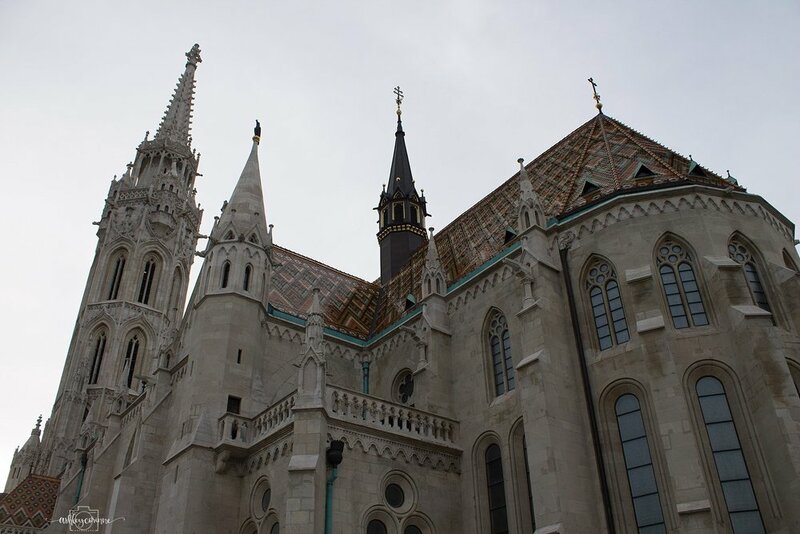 The last thing we wanted to see was the Svent István Basilika and we happened upon a wonderful hip restaurant that let us take our sandwiches to go. After eating and gazing upon the huge church, we crashed at the hostel and got as much sleep as we could before we woke up at 3:30 am to catch our plane to the next stop: PARIS!" Thanks for following along my European backpacking adventure! When I was planning my trip, reading blog posts was incredibly helpful and I hope that mine helps you dream of and plan your ideal trip too! Please don't hesitate to ask if you need any recommendations or help planning a trip of your own!